It’s been more than three weeks since an inmate died of an overdose at the Macomb County Jail. Sheriff Anthony Wickersham hasn’t taken questions about the death of Nick DiFranco, 28. When asked to discuss changes the sheriff plans, or has undertaken since DiFranco’s death, those requests made by phone, e-mail, text and in-person to the Macomb County Jail have been rejected. 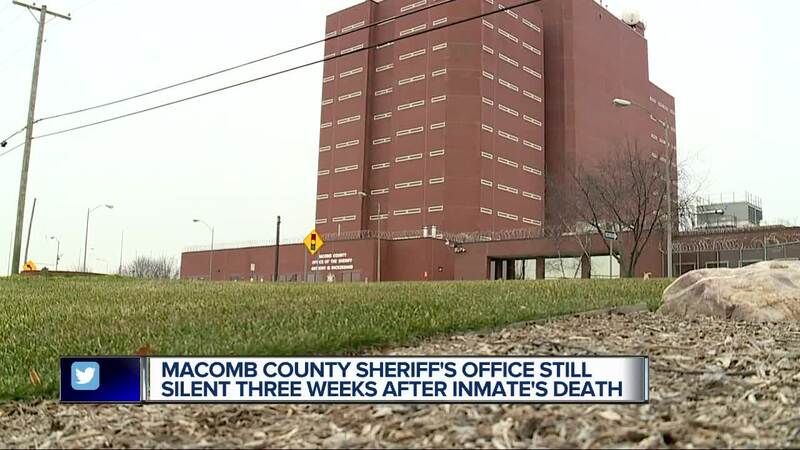 MOUNT CLEMENS, Mich. (WXYZ) — It’s been more than three weeks since an inmate died of an overdose at the Macomb County Jail. Sheriff Anthony Wickersham hasn’t taken questions about the death of Nick DiFranco , 28. When asked to discuss changes the sheriff plans, or has undertaken since DiFranco’s death, those requests made by phone, e-mail, text and in-person to the Macomb County Jail have been rejected. The lack of explanation — or acknowledgment of growing fears about the accessibility of drugs within the jail — has those with loved ones inside the jail asking questions. The news of another death inside the jail broke in mid-December. It was jarring to those linked to the jail. One parent who saw the coverage on 7 Action News and reached out to request the story continue to get press. His reasoning? As a parent of a young man addicted to drugs himself, he fears that it could have been his son that died. He also knows that he was hopeful that jail would be a place for his son to turn his life around. Now there’s a fear that jail isn’t even a safe place for an addict. “Contraband shouldn’t have made it’s way in there,” said Malinda Odisho, the niece of another man who died from an overdose inside the jail. Odisho lost her uncle, Dan Byrd, when he overdosed inside the Macomb County Jail in November 2015. Byrd had entered the jail in October. His family sued the county, but the lawsuit was later dismissed. Despite the loss in court, Odisho has become an activist and a voice for those with loved ones inside. "You know you have an ongoing problem in your jail," Odisho said. "Do something about it." The latest death inside the Macomb County Jail involved at least two inmates. The sheriff’s office tells 7 Action News that two men were rushed to the hospital after deputies learned they had ingested a substance. Two doses of Narcan were given to DiFranco, but he later died at the hospital. A second inmate survived.